We might be done with our Delta Goodrem giveaway (that closed last night), but we’re firing on all cylinders for the next week with this, another fab giveaway from the team at Sony Music. 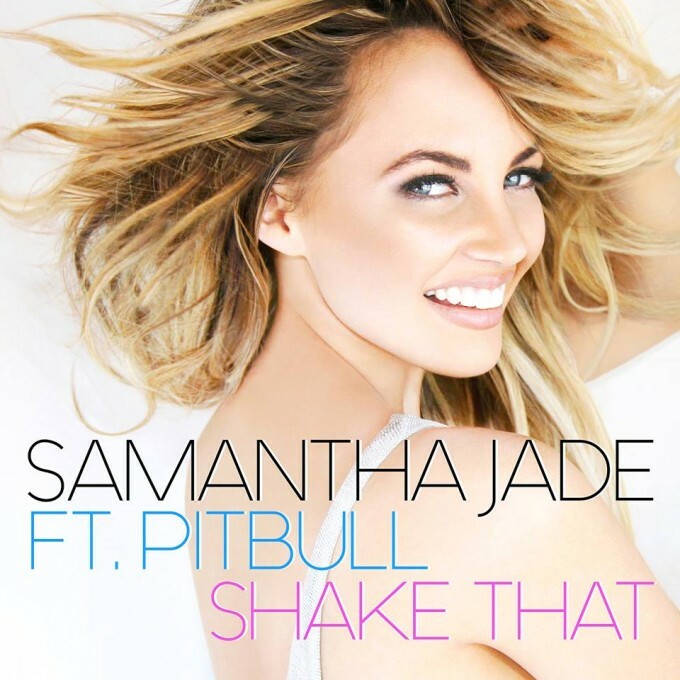 Samantha Jade is back in business with her latest single ‘Shake That’, featuring Pitbull. It’s a song with an incredible pop pedigree, given it was co-penned and produced by the legendary Kenny (Babyface) Edmonds. Now we know physical singles are becoming rarer these days, but Sony Music still pops them out from time to time as a promotional tool for artists to sign at instores and other public appearances. And guess what? We’ve got 14 of the little morsels to give away. BUT that’s not all. These aren’t just Samantha Jade ‘Shake That’ CD singles… Oh no. These are SIGNED Samantha Jade ‘Shake That’ CD singles. Yes, our home-grown pop starlet has put her elbow grease into them and inked them all in silver texta with her name. Bless. And you could win one! Pop HERE to our contact page. Get your full name and email address in the relevant boxes, THEN in the one marked ‘subject’, place the term ‘Shake That My Way’. In the ‘comment’ box, we’ll be needing your postal address. Then click ‘Submit’ and you’re in with the chance to win! Couldn’t be simpler than that! Competition closes at 10pm AEST on Friday August 20, 2015. Competition open to Australian residents only. Only one entry per person/email address/residence etc. Winners drawn entirely at random. FOURTEEN lucky winners will each receive a SIGNED physical CD single copy of Samantha Jade’s new single ‘Shake That’, with thanks to Sony Music Australia. Winners first names, suburbs/towns will be published on the site on Saturday August 21, 2015. And as always, we’re sticklers for your privacy, so we’ll not be sharing your details with anyone. Not now, not ever. * Unless previously advised. Good luck! What tracks are on the single? It’s a two tracker… ‘Shake That’ and ‘Armour’.